The League of Women Voters was founded by Carrie Chapman Catt in 1920 during the convention of the National American Woman Suffrage Association. The convention was held just six months before the 19th amendment to the U.S. Constitution (giving women the right to vote after a 72-year struggle) was ratified. This holds true today. The League is proud to be nonpartisan, neither supporting nor opposing candidates or political parties at any level of government, but always working on vital issues of concern to members and the public. On June 10, 1919, Wisconsin became the first state to ratify the 19th amendment granting national suffrage to women. 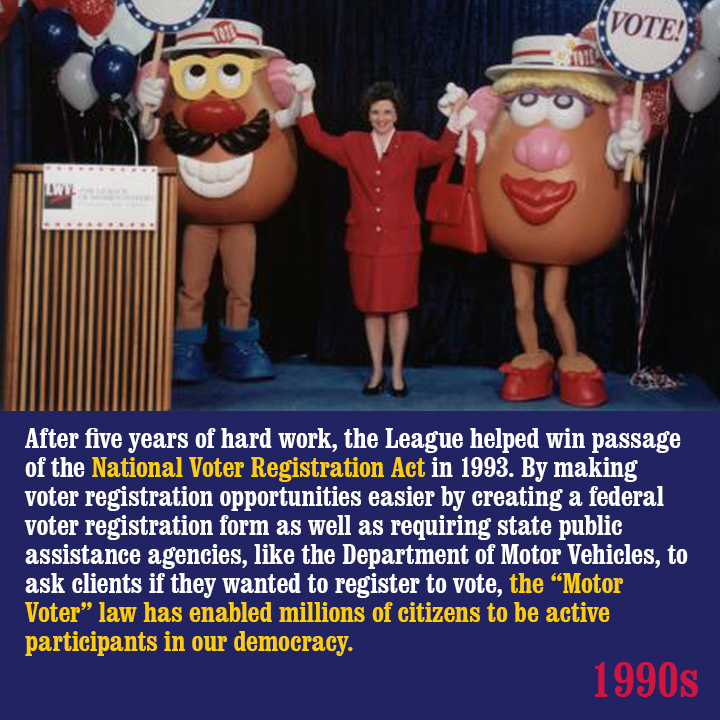 The League of Women Voters of Wisconsin was founded in 1920 as a nonpartisan political organization dedicated to improving our systems of government and to impacting public policies through citizen education and advocacy. The League is a national network of concerned women and men who act to make a difference in the lives of citizens with the energy and passion of members committed to our principles. The League of Women Voters of Wisconsin Education Network operates at the state level with grassroots support from 17 local Leagues. We are part of The League of Women Voters of the United States, with 900 state and local Leagues comprising a vast citizen lobby corps in all 50 states, the District of Columbia, Puerto Rico, the Virgin Islands, and Hong Kong. The League of Women Voters is wholeheartedly political, working to influence policy through advocacy. However, the League remains a nonpartisan organization, neither supporting nor opposing candidates for office at any level of government. It is the original grassroots citizen network, directed by the consensus of its members and mobilized whenever necessary. Over time, the League's legislative priorities have changed to reflect the needs of society and critical issues of concern. Yet the organization remains true to its basic purpose: to make democracy work for all citizens.